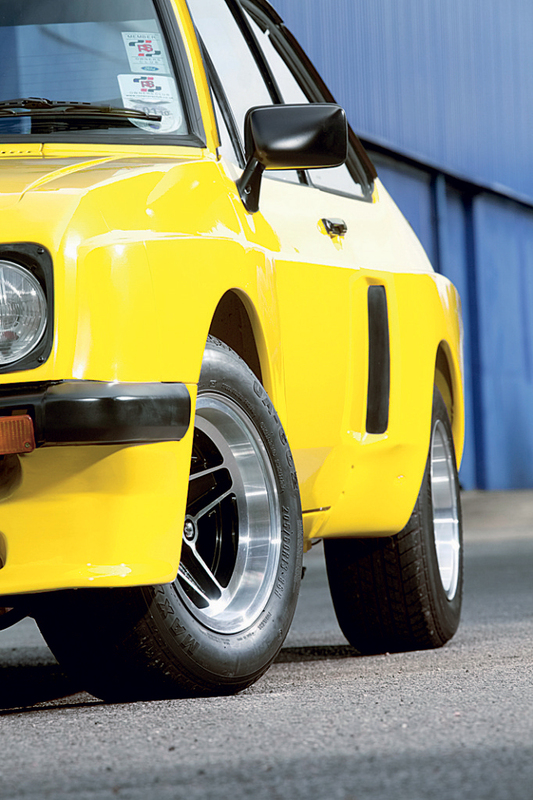 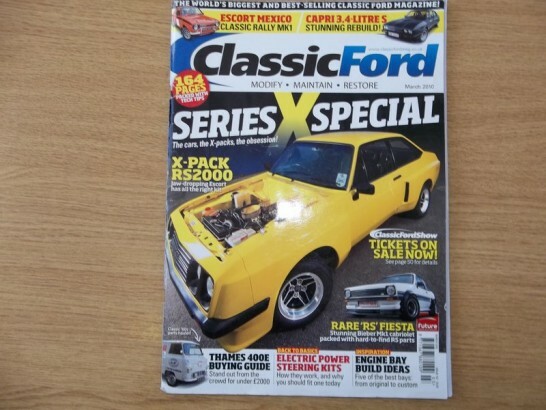 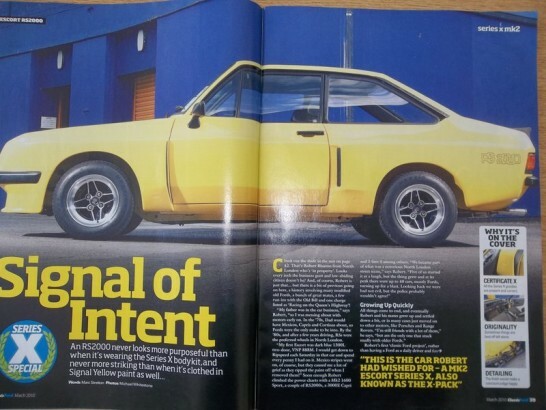 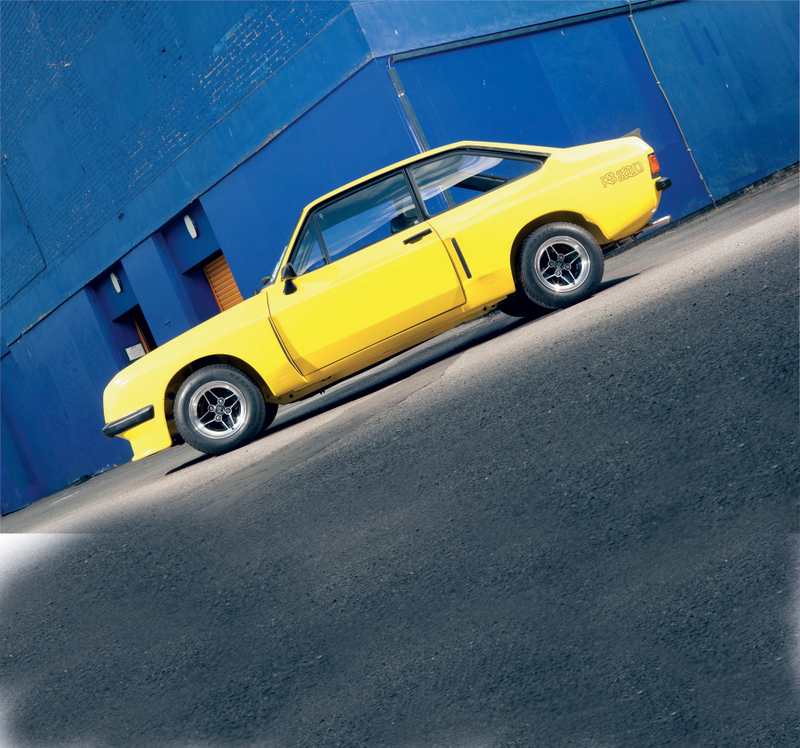 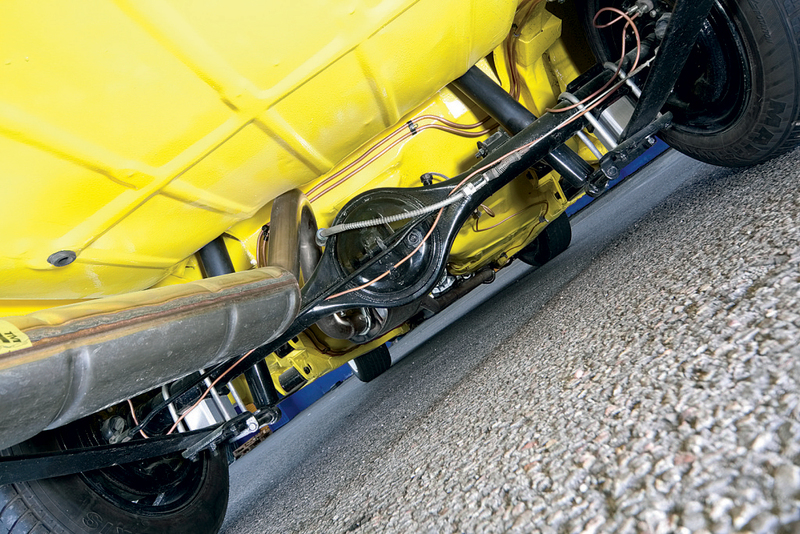 Unfortunatly the build photos for this RS2000 were lost and we only have these shots supplied by Classic Ford magazine . 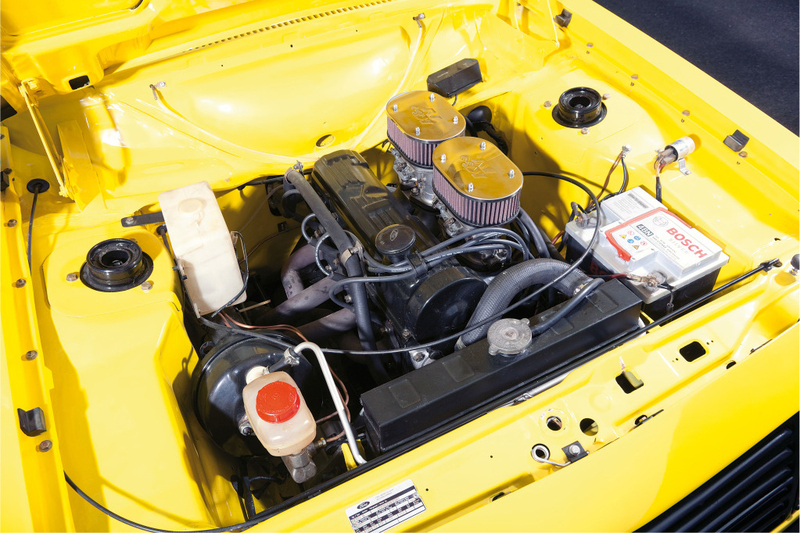 Having allready restored Robert’s RS3100 he entrusted us with this rare original RS2000 X-pack, first impressions of the car was that it had had a lot paintwork over the years , full detrimmed and stripped to bare metal it was apparent that there was an awfull of corrosion set in. 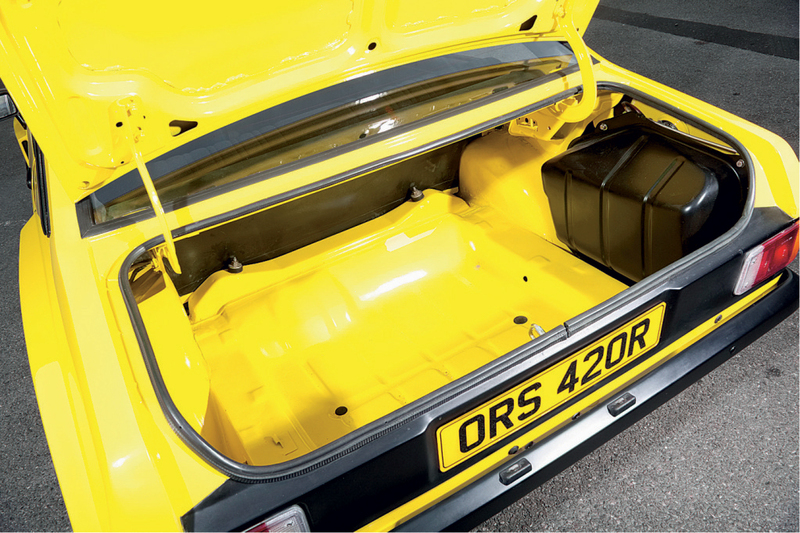 In the end a vast amount of panels had to be replaced including inner wings, bulkhead, floor sections, chassis rails, sills, front and rear valances, wings and roof skin. 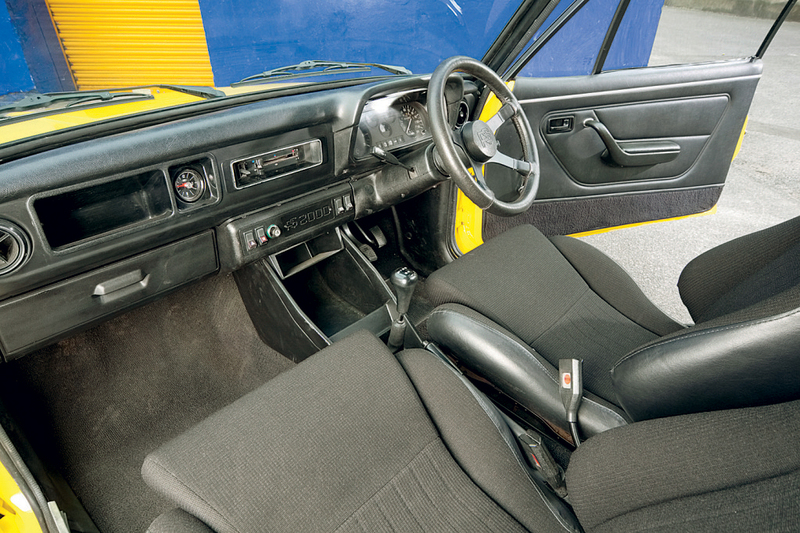 Every aspect of the RS was either replaced or renovated to a concours standard.